We have secured an AMP6 early start project for Jacobs for head client United Utilities. This 6 month project is focused on the Cumbrian town of Kendal. We will develop a strategic planning computer model of Kendal’s urbanised area using Infoworks CS software. Model development includes dry weather and storm flow verification against short term flow survey. 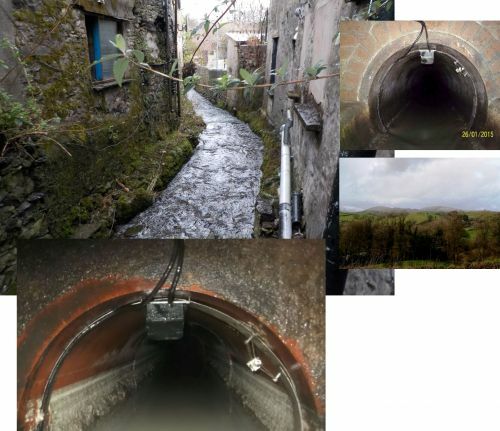 Phoenix Adam modeller Dean Jeffery has spent most of January braving Arctic conditions to find suitable locations for 15 rain gauges and 70 flow monitors. The flow survey begins this week and is expected to last 12 weeks. Kendal has a modelled population of 30,000 and a total urbanised area of 1000 Ha. The model will be used to assess UU asset flood risk, river impact and waste water treatment works performance. Next PostThe LARGEST Green Activist Conference, ever.